Why Should You Hire a Private Eye in NYC? Whether you are fighting for custody of your child, need help locating a missing relative, or have suspicious about a new employee, a private detective can help. 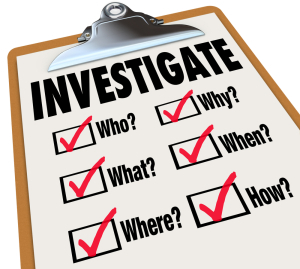 While the public has come to associate private detectives with murder investigations and high-profile cases, private detectives provide a wide range of services, including domestic and corporate surveillance, lie detection, missing persons and background checks. Read on to discover the major reasons why you should hire a private eye in NYC. Most private eyes in NYC have a federal agency or law enforcement background. With their extensive training and experience, private eyes know how to conduct surveillance and garner the evidence you need to feel at ease or win a court case. An experienced private eye knows exactly what to do to find the answers you’re looking for. – Not only will private eyes in NYC find the evidence and information you’re looking for, but also they’ll conduct their investigation covertly and confidentially. By attempting to perform surveillance on your own, you risk being detected and ruining your chances of discovering any new information. Criminals and cheating spouses will alter their actions and behavior once they know they are being monitored. – On top of locating information that will help you in court, experienced private eyes in NYC can testify on your behalf. They know how the court system works and can collect and present compelling evidence to help you win your case. This is particularly beneficial for criminal cases, divorce and child custody cases, and domestic disputes. If you need to hire a private eye in NYC, contact New York Intelligence Agency. We provide a long list of private detective services for private individuals, law firms, insurance companies and businesses and can help you find the information you need. To learn more about our services, please contact our NYC private detective agency at (646) 465-2006.